What a great time of the year in north Georgia. We can enjoy this wonderful holiday season in such a beautiful setting and fish too. God has blessed me in so many ways that I could never return thanks enough. I guided a trip at NCF yesterday and the scenery and weather just amazed me as it does each time I'm on the water. Yea, and it wasn't too bad either when we landed some of those beautiful NCF bows (on dries). It was a great day. 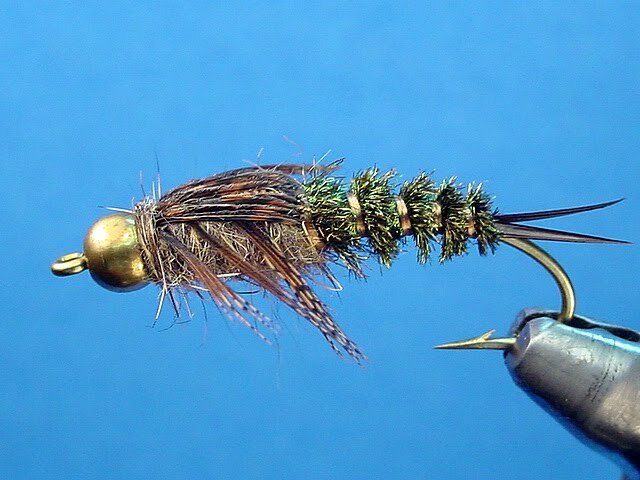 Well, since all that will be left of the turkey are the feathers - let's use some of those this Tuesday, Dec. 1, when we attempt to tie a "20iincher" stonefly. We'll also tie an X-Caddis as our dry fly and any other fly you request as long as we have the right supplies. The tying session will be at 6:30 PM at the Unicoi shop in Helen. Everyone is welcome and invited, even if you've never tied before. Bring a vise and tools if you have them, but if you don't we'll supply them for you.